BMT 13, 20, 20H – High Precision Pillar Drill Machine – Manwani Machines, Pvt, Ltd. The arm, gears and work head are made of closed grain finish. Main spindle and pinion are made from EN forged steel. Spindle Ram is made for Alloy Steel. We make use of imported grinding device for obtaining finishing touch to all device parts. All moving parts of the device are finished to obtain close tolerance. Main gear and pulley are ensured for proper balance before they are assembled. Categories: Drill Machines, Pillar Drill Machines, Products. 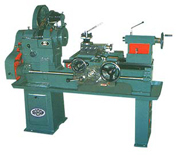 Manwani machines Pvt Ltd. plays a significant role in workshop device supply. We provide wide range of machining components which are supportive in several industries to carry out multiple machining operations. Drilling remains one of the important machining aspects required in metal, automotive and similar industries and we provide high precision pillar drill machine to match accurate boring requisites. Our this tool is designed as per industrial standards and provided with rough construction to fulfil optimum machining performance expected in different industries. It is featured with easier operational modes at the same time can be depended on for accurate drilling. It is flawless in machining and stays durable in quality.